Eastern firefly (Photinus pyralis) flying (Georgia, USA). As light pollution spreads across our planet, we have to venture to more remote areas to enjoy the night skies. This is a minor inconvenience compared to the impacts of light pollution on other species, which can affect their ability to simply survive and reproduce. Unfortunately, our nighttime lighting decisions seem to be affecting the ability of fireflies to communicate and reproduce. In the film Brilliant Darkness: Hotaru in the Night, Dr. James Lloyd “equates the potential disappearance of fireflies to a ‘canary in a coal-mine’, highlighting the environmental dangers posed by current practices in artificial night lighting.” 6 Others have noted that fireflies play a unique role in our lives, contributing to the beauty of the night and opening our eyes to the wonders of nature. 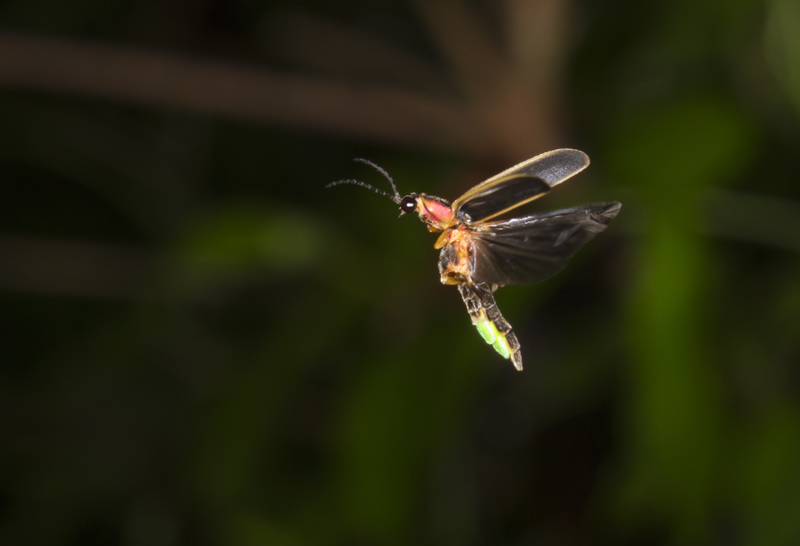 Concerned with both the ecological and cultural effects of declining firefly populations, participants from 13 countries met at an International Firefly Symposium and drafted The Selangor Declaration, which advocates for more research and education about these issues. 2. Picchi, Malayka Samantha & Avolio, Lerina & Azzani, Laura & Brombin, Orietta & Camerini, Giuseppe. (2013). Fireflies and land use in an urban landscape: The case of Luciola italica L. (Coleoptera: Lampyridae) in the city of Turin. Journal of Insect Conservation. 17. doi:10.1007/s10841-013-9562-z. 3. J. Costin, Kevin & Boulton, April. (2016). A Field Experiment on the Effect of Introduced Light Pollution on Fireflies (Coleoptera: Lampyridae) in the Piedmont Region of Maryland. The Coleopterists Bulletin. 70. 84-86. doi:10.1649/072.070.0110.